The interesting fact about Punta Cana is that there are more than 25 miles of beaches, resorts, golf clubs, spas, casinos, restaurants; but you can still feel the natural charm of the island. An all white sandy beach, breathtaking views of the ocean, delicious meal of seafood; Punta Cana is totally recommended for everyone, whether travelling as couples or a solo traveler, it's a great experience. The beach buggy ride to the Maccao Beach is a thrilling adventure and an eye opening journey to the culture of Punta Cana natives. On the way, there is a tour made in a local village that grows cocoa and coffee. This beach is far from the row of hotels and resorts, but it is well attended because the water is turquoise blue and it is a true paradise for surfers. The beaches of the Dominican Republic, especially in Punta Cana look like it descended from the pages of glossy travel magazines - white sand, clear blue water, palm trees all around and serene blue sky. 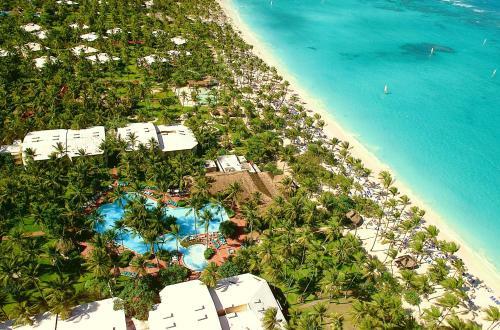 Punta Cana is a perfect getaway, totally taking into account the needs of sun-loving vacationers who like excellent resorts yet think minimal about wandering far from their place of accommodation and the breathtaking beaches of the city. The best time to explore the island is during the shoulder months or the spring break of March to May. It is around this time when the peak season and massive arrival of guests from all over the world has slowed down after the summer season of December to February and this is the best time to enjoy the beaches of Punta Cana in peace. Another advantage is, getting a hotel accommodation is a breeze and the rates are more affordable. Fortunately, the climate is warm all year-round, with normal highs around 80 degrees F. If you want to see the city in a festive atmosphere, book at least six months before the well attended Carnival Festival in February. However, the Dominican Republic encounters the Atlantic typhoon season, which keeps going from June to November. If you are not comfortable in this kind of weather, avoid making any travel plans to Punta Cana during the tropical storm months. On the other hand, Punta Cana registers huge tourist arrivals regardless of the season. The Macao Beach is one of the best beaches in Punta Cana. It is public and there are no hotels around, so you can enjoy it without much interruption. If you're going to go around riding the buggy, wear clothes that are not worth getting dirty, because you will end up full of dirt and mud. This beach looks pristine, white sand, turquoise sea, and many water sports can be practiced. There are stalls selling on the banks offering their crafts in stone and you can negotiate for the prices. When you’re at Macao Beach, try to find the cave that has a super-crystalline lagoon where you can swim in water; it is simply breathtaking. Macao is an amazing virgin beach of fine sand and crystalline waters. 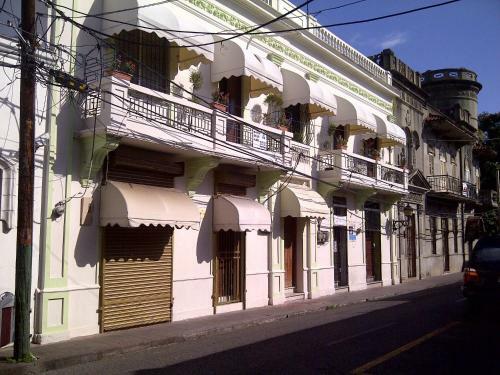 It is lined with small restaurants whose specialty is fried fresh fish and Creole cuisine. The waters are clean and without any algae. It is one of the best areas of the Dominican Republic that is perfect for snorkelling, surfing and windsurfing. Wonderful beach, white sand, soft and silky! Bavaro Beach has tall palm trees on the sand and the blue waters create the perfect backdrop for a photo shoot. The beach is protected by a coral barrier reef, which is a natural barrier for the shark and oceanic waves. Upon entrance to the flat ocean, you can immediately see that the waves are small and rip current is always present. It is suitable even for those who cannot swim and children under the direct supervision of adults. As a rule, the distance from the hotel and the ocean is no more than 100 meters; the same thing between the pools, bars, fitness and other forms of recreation and entertainment. The underwater world is represented by a variety of small fish, sea urchins, stars, hermit crabs, and king crabs. All of them can be seen if you go to places where there are fewer tourists or swim away from the crowds. The only downside of the beach is the wave that causes algae from the open sea, but the shores are constantly cleaned and you can find sites without them. It is an impressive park for those who love adventure. Keep in mind that the ticket entitles you to take part in three rides and then an afternoon program on the short side at the Bavaro Adventure Park. Besides paintball games, which is really fun and loved by most guests, you can also try the Zip Line. It also has a Segway ride, Big Ball, fight simulation games (but nothing too radical and borders more on the fun side) and the tree climbing course. It is a half-day tour and has lots of options on things to do. This theme park is designed for those who like adventure and is willing to spend time and energy. The Manati Park Bavaro provides transportation (round trip) from the resort. It is a mini zoo where the main attraction is the dolphins. The animal shows are interactive and you can have fun catching parrots in your hand, feeding the monkeys and entering the enclosure of iguanas; the park makes animal interaction a very special experience. It has a theater show of macaws and an interesting trail through a beautiful lake that ends with an Indian presentation. The plus point is when the staff leads guests to enter the nursery and feed the thousands of parakeets, which is a really cool and fun memory of a visit to Punta Cana. The Ocean Adventures Bavaro Splash offers a boat ride, scuba diving and snorkelling adventures in the waters of Punta Cana. The experience is fantastic, the organization is very good and the staff is very helpful and friendly. The gears are provided by the guides when it comes to snorkelling and scuba diving (with oxygen tanks). It is a delightful tour that allows guests the opportunity to drive a speedboat, which was the best part of the package. The skilled diver guides can take you to the reef areas and meet the marine wild in the ocean floor. You can buy the pictures and videos from the skipper after the tour. The Isla Saona is a fabulous place, be sure to visit if you are in the Dominican Republic. The boat trip to the island is no less than amazing. Saona Island is known as the island of “Bounty” (the UK made chocolate commercial was filmed here). It is the largest island of the Dominican Republic and part of the National Nature Reserve Park. Before reaching the island, the boat stops so that the tourists could be photographed with the starfish. This site has a lot of starfish in different colors. On the island, you can swim in lagoons and enjoy a magical holiday on the white silk sand. The Palm World fascinates with its beauty. It is the only sea in the world which has seven shades and home to several species of birds. To capture all your memories of the island, it is good to have a waterproof device when shooting in the sea. Hoyo Azul is one of the most beautiful sights in the Dominican Republic. The lake was formed in the rock, due to the accumulation of thousands of years of rainwater passing through all the layers of the soil. The lake with clear water is surrounded by cliffs with stalactites. Hikers walk about 1 hour through the jungle to reach this crystal clear blue water and passes by the 100 orchid species preserved and maintained in this trail. This blue lagoon is a hidden gem of nature around the many resorts in Punta Cana. Although the lake is quite remote, it is very charming. However, there are many vendors in the area before reaching down to the grotto. The magnificent site is well laid out; a true natural pool nestled in the mountains. It is very refreshing and you can walk all around the center of the basin that is almost 12 meters deep. To access this corner of paradise, you need to go down a path with stairs. There are different prices for admission depending on which attractions you want to visit and how many hours you are willing to spend in the park. The Outback Adventures - Outback Safari is an effective way to know a little about the customs, habits, and the life of the local population in general. It comes with an open truck that passes between the villages of the area of Punta Cana to come to a school where you can meet the kids struggling with the challenge of daily living. From there, the truck goes to a reserve, which shows the sugar cane plantations, the coffee, vanilla and cocoa; and at the same time also shows the processing of raw sugar, cocoa, coffee and tobacco. The tour includes having lunch and a visit to a typical Dominican Republic community. On the way back, a stop is done at a shop that produces palm oil. This tour is an experience that is definitely worth the ticket price. The Indigenous Eyes Ecological Park is interesting, informative, and helpful. You can walk through the jungle, swim in clear lakes surrounded by fish and ducks and explore the beautiful Dolphinarium where you can swim for half an hour with the dolphins. Do not miss a visit to the garden and the mini zoo. Indigenous Eyes (which can be translated as "natural eye") is an ecological reserve located in an area of 1500 hectares, which in its original form preserved the flora and fauna of the tropical rainforest. It is located at the southernmost tip of Punta Cana, where you can see more than 500 species of exotic plants from the following paths meandering along 11 natural lagoons. There are century-old trees that look bizarre, subtropical flowers of incredible size and coloring, intricate weave of vines and it is home to nearly 100 species of birds. Indigenous Eyes have eleven secluded lagoons with cool and clear water, resembling the human eye in which you can swim. The crystal clear freshwater lagoon is fed by the underground rivers. Ancient Indians believed that these waters have healing properties. The sandy beach will also not leave anyone indifferent, because there you can see sea turtles that have chosen this place for the calculation of their eggs in the warm white sand. Since most of the activities are done outdoors, it is a good idea to apply a mosquito repellent. The park is open to the public from 08:00 to 16:00 PM and they also offer guided tours. This is exactly the same turquoise warm sea with soft sand, but in contrast to the Saone, here in Isla Catalina you can swim and snorkel (and on the way to Catalina boats usually stop at the other side with a lot of coral and underwater gardens). The island is blessed with clean beaches, beautiful tropical vegetation, and clear waters. You will have a great time there. It is suitable for both couples and families with children and large groups. There are some places on the rocks where sea urchins are sitting on a large number, so you have to go carefully. Here you can enjoy tranquillity, the sea, and bask in the sun. You can also buy souvenirs that are typical of the Dominican Republic. It is a perfect place to lie all day on the beach. This is also a very nice stop on the Costa Magica on the way to many more islands along Punta Cana. Chocolate is very delicious and it is also pleasant to watch the process of making chocolate here at the ChocoMuseo Punta Cana. You can learn a lot about chocolate, how it is made and how it happens. You can request for an exotic chocolate for gifts (with peppers and so on). There is also a chance to buy tea from cocoa beans and raw cocoa used in the manufacture of chocolate. Before the tour is over, you will understand how chocolate and all its derivatives are made by hand. It is not much of a museum, but more of a shop about chocolate products. There are also good cosmetics based on cocoa butter and chocolate sold in the shop, which women find hard to resist. The Sirenis Aquagames Punta Cana is a water park that is situated in the complex Palladium Resort and is one more entertainment option for guests and tourists in general. Free access for guests and swimming pools for adults and children are allowed if you and your family are billeted in the adjacent hotel. It's fun and entertaining for those travelling with children and where the adults can also have fun. The facilities are very good (with polite and friendly staff) and there are plenty of restaurants. The prominent water park has six medium-sized water slides for adults, 1 swimming pool and a children's area. The Palma Real Shopping Village is located in the Meliá Resorts complex in Punta Cana and it has varied shops of international brands with reasonable prices. If you are in need of something while travelling, it is a good place to shop. Right next to the shopping center is the supermarket. It is possible to find many things on sale and priced even better than the free shop. It has a market in the background with much better souvenir prices than most hotels around Punta Cana. Some products may be worth it, but not many. In any case the environment is safe, clean, nice, and has interesting shops. The Cave Oleg Bat House is beautiful and the water is crystal clear although quite cold. It is an interesting ride that deserves to be done by the whole family. It is highly recommended for those who have no fear of bats and enjoy this type of outdoor activity. It's clearly something out of the traditional for those who like to change a little routine of places to see and things to do in Punta Cana. You can learn a lot about the local endemic plants, a walk through the cave with bats, and also see the iguanas. The area around the cave is magnificent, but the interior is more stunning. The caves are somewhat dark and the walk is a little long. It is an activity designed for young and agile people. For those who never felt the sensation of diving or sightseeing, swimming with the dolphins, driving a speedboat, exploring a unique flora and fauna, a visit to Punta Cana is a must. Once you get in any hotel on the island seek the diving tours as one of the first things to do when you get to the island, as no diving can be done 24 hours before the return trip by plane. Once you have experienced it here in Punta Cana, you will begin to have an entirely different view of the island. Diving is done in most of the beaches and you need to be fully prepared for it with all possible security and safety of the skilled and professional scuba divers of Punta Cana. Do not miss Punta Cana when in the Dominican Republic. It has all the elements of a perfect Caribbean holiday.